For product name, use IOSTextFieldAlertControllerTutorial and then fill out the Organization Name and Organization Identifier with your customary values. Enter Swift as Language and choose Next. Go to the Storyboard. Drag a Button from the Object Library to the top of the main View. Double-click the Button and set the title to "Log in". Ctrl + Drag to the top of the main view and select the "Vertical Spacing to Top Layout Guide" and "Center Horizontally in Container". options. 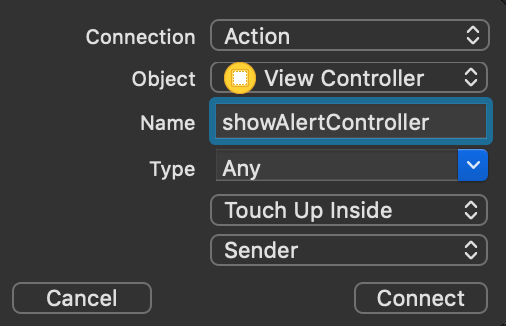 Inside the ViewController class, implement the showAlertController action method. usernameTextField!.placeholder = "<Your username here>"
passwordTextField?.placeholder = "<Your password here>"
An Alert Action is created, inside the closure the entered text in the Text Fields will be printed to the console. The addTextField method adds the text input fields, taking the Text Field as a parameter inside the closure. The login action is added to the Alert Controller and the controller is displayed. Build and Run the project. 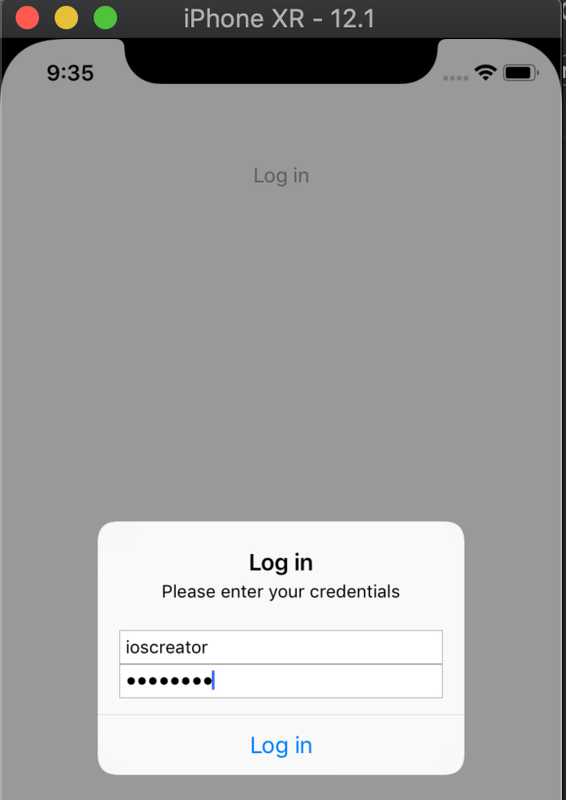 Select the login button and fill in the username/password field inside the Alert Controller. The entered text will be displayed in the console. You can download the source code of the IOSTextFieldAlertControllerTutorial at the ioscreator repository on Github.